Examining some of the most critical issues in Malaysian politics today, including human rights, law and democracy, gender and Islam, this book explores the contours of the contemporary landscape of Malaysian politics, focusing especially on politics among the majority ethnic Malay community. 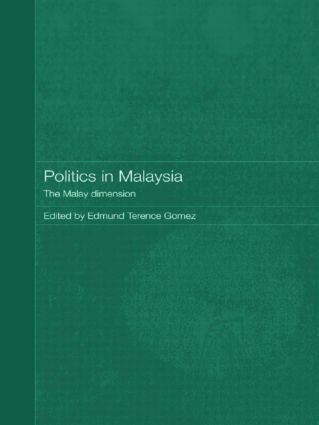 In particular, the book explains why changes in patterns of political mobilization and the rhetoric of the dominant parties - particularly the PAS and UMNO - have been so limited, despite the overt and growing dissatisfaction shown by Malaysians with the state of their political system and the ability of these parties to represent their interests. It considers the recent history of events and discourses within Malaysian society, and UMNO and PAS, and goes on to analyze why important transitions have occurred in society yet political parties have not adapted themselves to these changes and remained reticent about instituting meaningful reforms involving these matters. Gender discourse in Malay politics: Old wine in new bottle?